Intex has officially launched its latest smartphone, the Intex Aqua i4+. The new i 4 plus comes with some nice features at this price tag. It has 5 inch FWVGA display, 1.2 GHz 2-core CPU, 8-megapixel rear shooter. The phone supports 22 regional languages and comes pre loaded with some apps. The handset will compete with Xolo A500, Spice Mi 436 and Micromax Canvas A100. 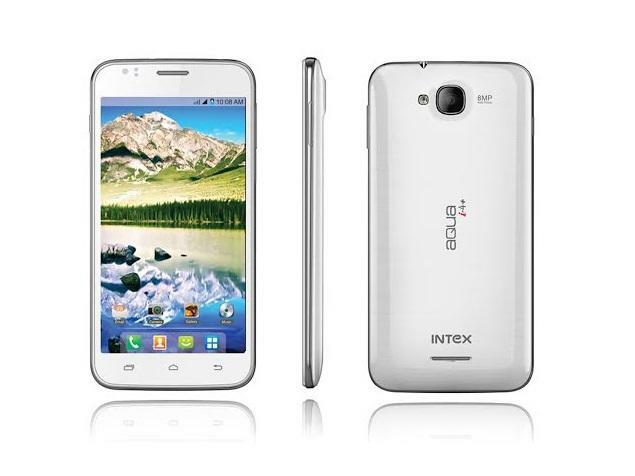 The Intex Aqua i4+ is priced at RS. 7600 and is available in Blue and White colors. You can buy it from online retailers and from more than 40000 retail outlets.